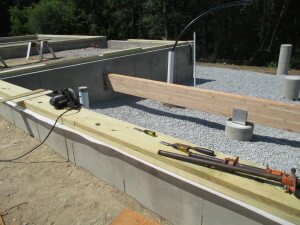 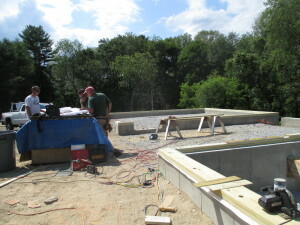 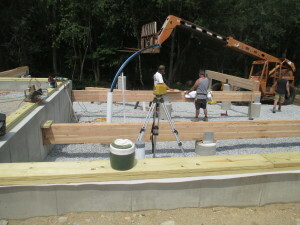 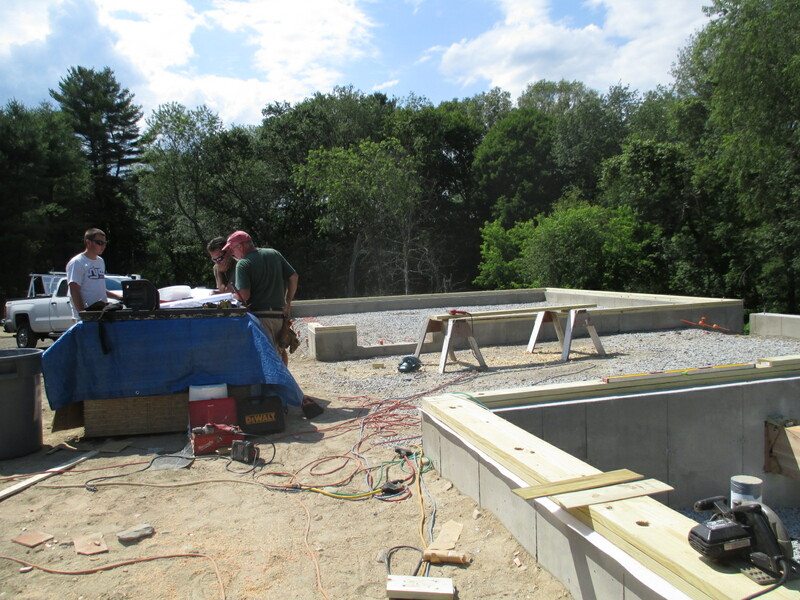 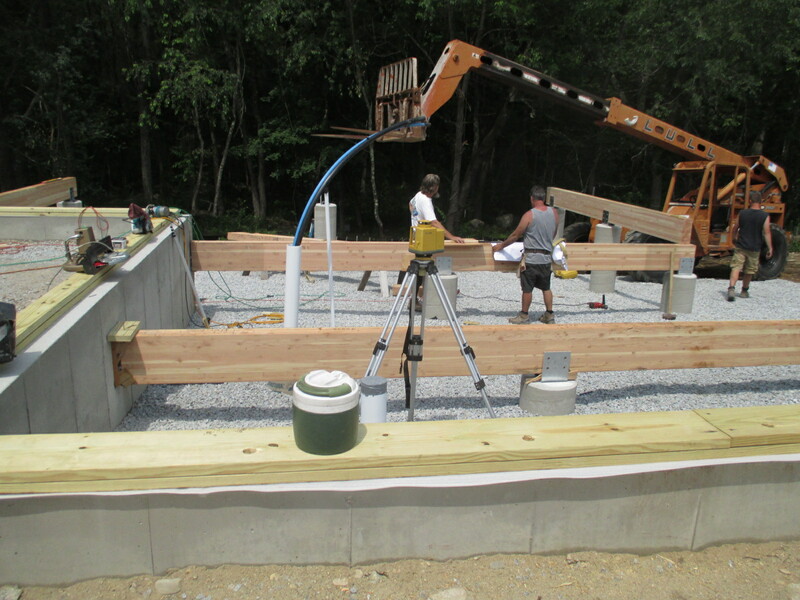 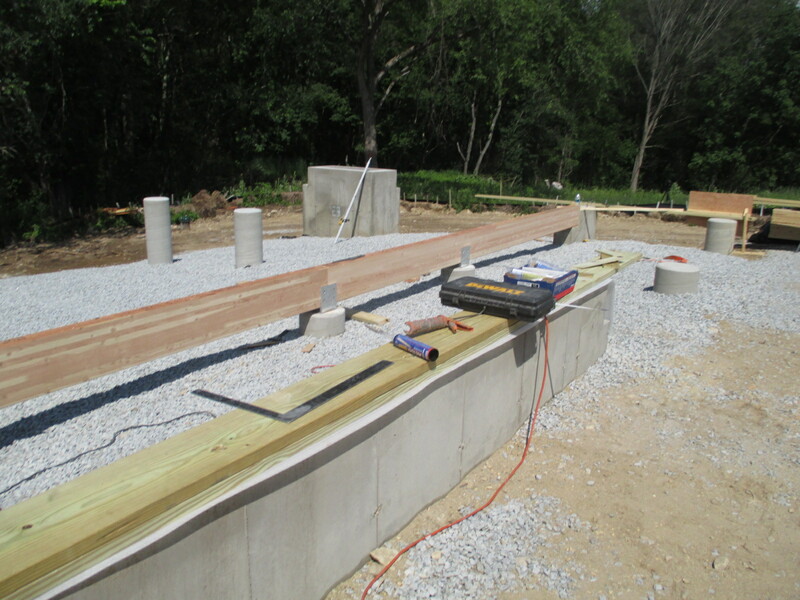 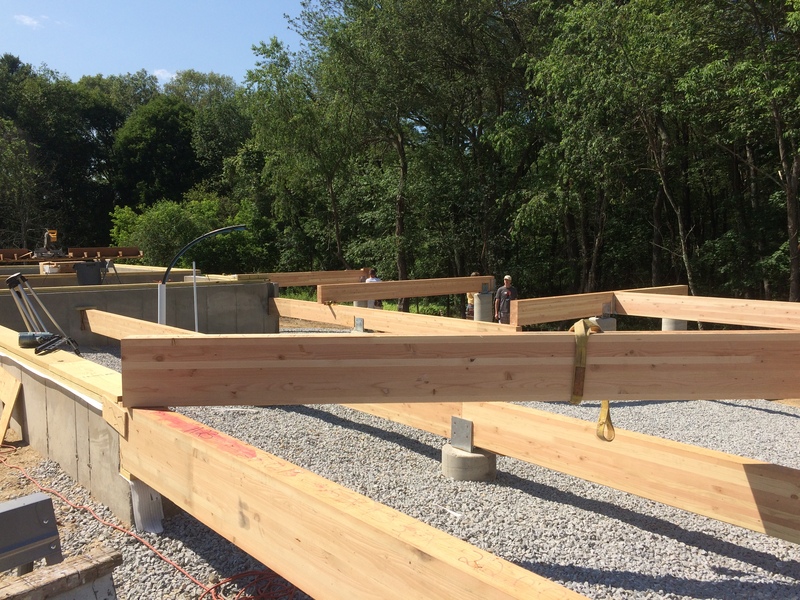 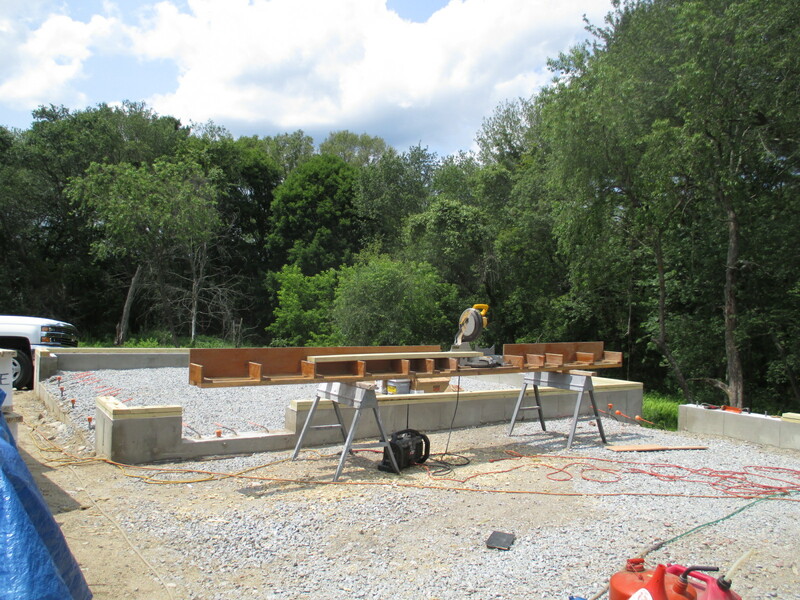 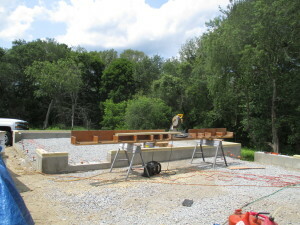 This week, construction has continued quickly – the beams supporting the house are almost completely in on late Friday – Paul was confident they would finish either today or Monday. 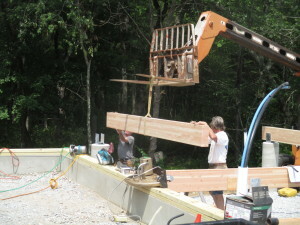 Photos from midweek and today below – beefy stuff – notice the size of the brackets! (which were actually too small and Paul had to create a dado for them to fit – which may or may not have been intentional from the factory in order to create a more smooth line to mount the siding on). 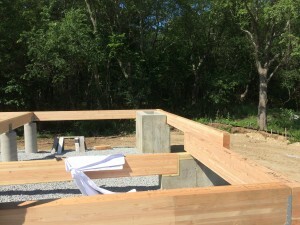 Paul mentioned with the two types of foundation and the two types of roofing systems this house has (regular Deck house and the new Truss system Deck has), the house is one of the more, if not most complicated to work on that he has done – at least in a long while. The Bank documentation guy was excited to see the house – he said he had not seen a Deck house being built in ages and ages. 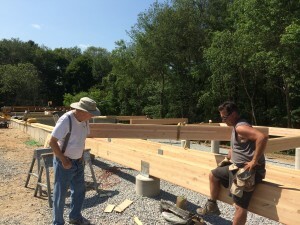 People keep saying to me how excited they are to see it – which makes you feel good!